Pictures of flowers and plants taken against the light can often have a very different look to images taken with the sunlight coming from behind the photographer. 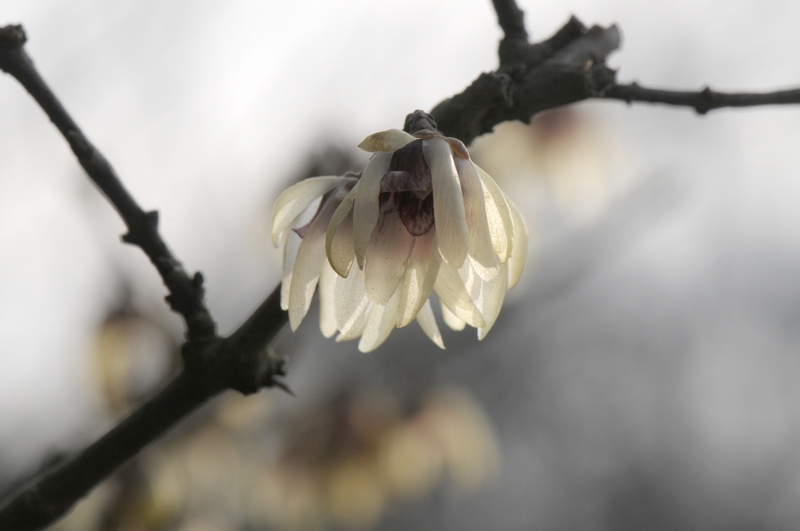 The translucency of flower parts and sharply defined outlines of buds are examples of such enhanced images. Not every photograph can or should be taken into the sunlight, but in a number of instances in flower photography there can be a dramatically improved result by using this method. We are talking about light coming towards the camera, or at a closely oblique angle to the camera axis. Petals and leaves which are translucent often have an internal structure and colouring which is made more visible by light transmitted through them. Picture 1 above illustrates the type of photograph we are going to discuss here. Buds, seed-heads and berries that have an outline which is shown up dramatically by backlighting tracing out the periphery ; similarly spines and hairs on the outline edge of buds and fruit. Individual plants such Cardoons that are mainly grown for their overall shape will show up poorly when photographed with illumination from the front. Backlit pictures can show up their architecture to advantage. Garden vistas can be made to look excitingly different when viewed into the light, especially if they are in the pathway of low morning or evening sun. A few other specific instances such as cobwebs and water fountains. 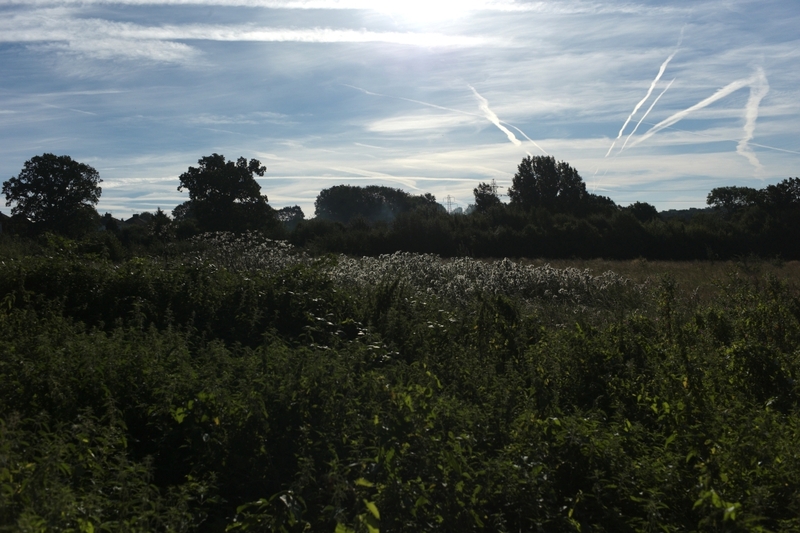 It is clear that I am talking almost exclusively about natural sunlight, and especially soft very early morning light soon after dawn. Late evening light is also good but this can sometimes change the colour balance and add a red colour cast to photographs. At these hours too, as well as the softness of the actual light, it is at a low angulation which is often just right for capturing pictures at an easily managed axis. High midday sun is not in the equation, neither are pictures taken with flash. Around dawn a trace of mist and dew creates a mystical image, and our professional garden photographers are used to getting up before 5 am to get the best pictures! These photographs can rarely be obtained by just using the automatic exposure setting of your camera. Shooting against the light can often mean that the camera’s internal exposure meter if set to automatic mode ‘sees’ so much light that the exposure is cut down and surprisingly the picture is often under exposed. It can well come out rather dark and uninteresting. So you usually need to increase the exposure when taking pictures against the light, and this is completely contrary to one’s first instinct. It is this subtle balance between a dull, uninteresting under exposed picture and a burnt out over exposure which makes this area of flower photography so exacting and challenging. There are several ways to correct and compensate for this problem. These are expanded in the technical notes at the end of this article, but you can always start by just taking a number of pictures of the same scene at different exposures. This is called exposure bracketing. Fortunately with modern digital cameras several pictures can be taken for experiment at no extra cost. So let us look at some samples of this type of photography. This first example is by not changing the exposure itself, but by simply changing the camera position. This in itself usually alters the exposure which is set by the automatic system in the camera. 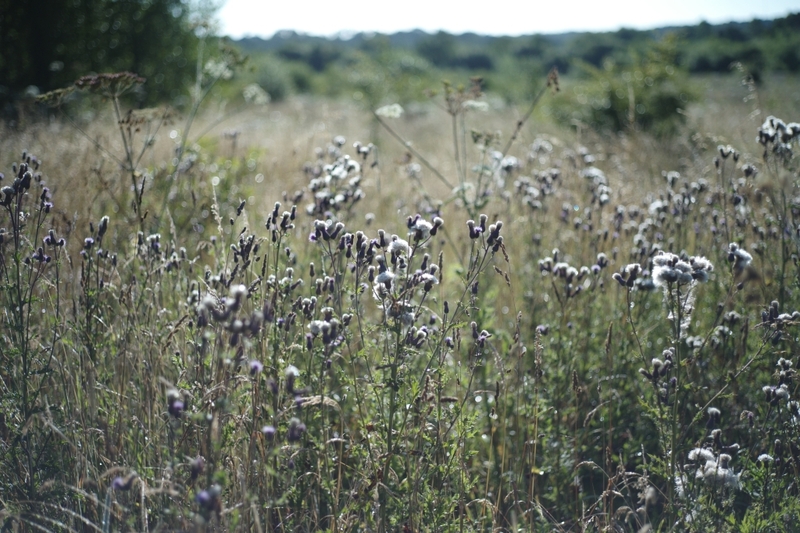 Picture 2: A view of a clump of thistles (Cirsum var) in a sunny field. Picture 2 is taken with the light behind the camera, so the thistles are lit from the front that is to say from behind the camera position. The clump is rather flat and uninteresting. Picture 3 is taken from the other side of the clump directly against the sunlight. 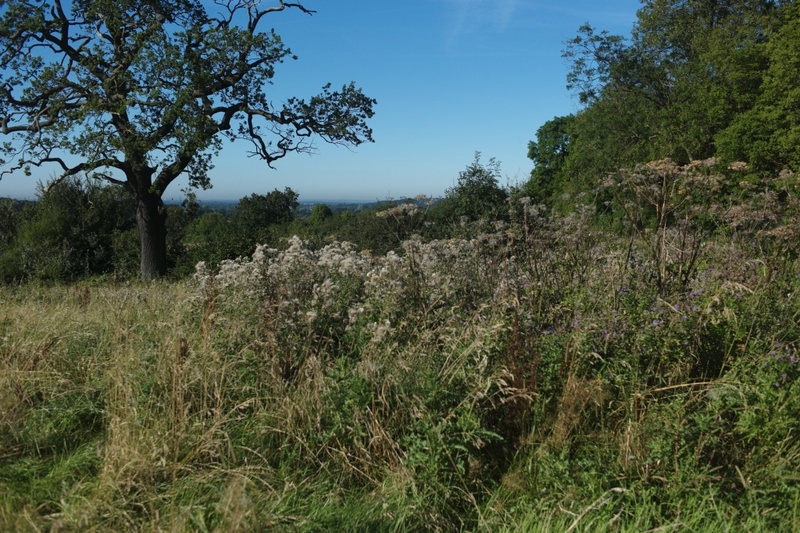 The bright sky has dominated the camera’s automatic exposure control, so the metering system has resulted in the sky being perfectly exposed but the thistle clump dark and under exposed. 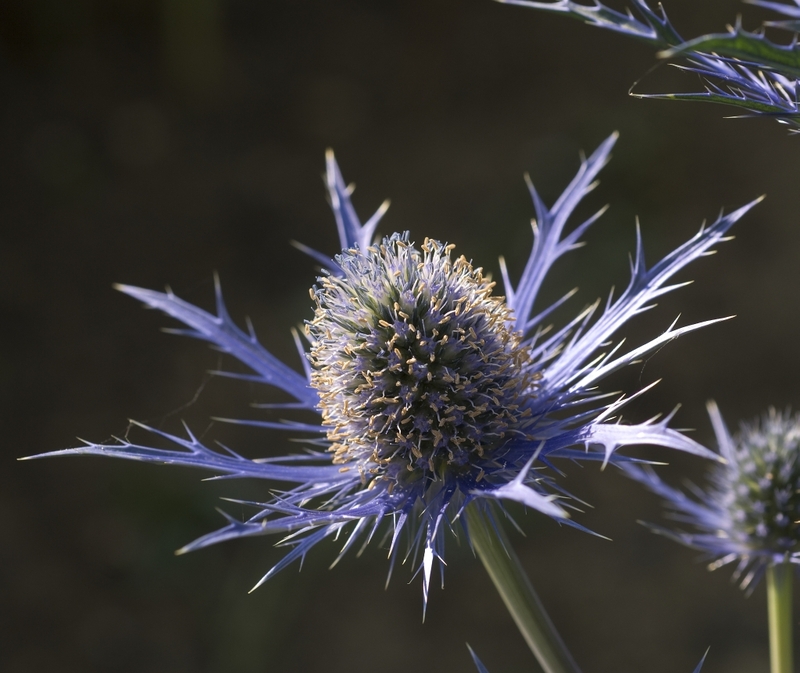 However there is a hint of an exciting picture in the tips of the seed-heads. So let’s change the camera angle. Picture 4 is taken with the camera tilted down so that the sky is almost out of the picture. This means that the automatic exposure is not dominated by the bright sky. Now the thistles themselves are now far better exposed. Indeed the tips of the seedheads are just on the cusp of what I wanted – very bright and much more interesting but with enough detail. With digital images some manipulation can be used to obtain a better image. 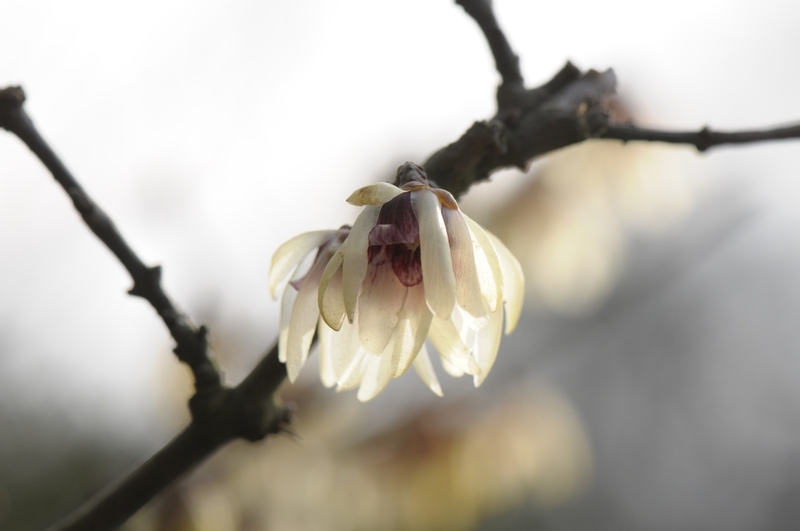 This example of a Chimonanthus praecox ‘Grandiflora’ flower illustrates that we should aim if possible for a slight under exposure, not over exposure to obtain our favoured result. Under exposure can often be corrected to some extent in post exposure computer software, but over exposure usually results in an image which is burnt out and then highlight details cannot be redeemed. A RAW image file is preferable but JPEGs need less expertise and are satisfactory for most uses if ultimate quality is not required. Here in picture 5 is the picture of our wintersweet a little over exposed – it is all rather bright and details of the lower petals particularly are burnt out. In picture 6 an attempt has been made to correct this by overall darkening of the image in Photoshop. However because the petal details have already been lost, and darkened, the subtlety is never recovered. Picture 7 taken from a slightly different angle but a lesser exposure has been used. This time it is a little under exposed, so there is not enough shadow detail. This is far less critical. The veins on the petals also don’t really show up but when this image is adjusted and lightened overall in Photoshop (Picture 8) the picture recovers much of the lost shadow information. Also this lightens the petals to a desirable extent. Now they recover almost perfect cellular detail of their surface structure (Photoshop ‘levels’ used for this adjustment.) Many modern SLR cameras can also be set up to take several sequence pictures like this both light and dark – one after the other in quick succession – this is called bracketing. If this is not available on your camera you have to do this manually (see technical details below). It enables the best image to be easily chosen. So – the rule is once again, and this is important – always veer on the side of under exposure, not over exposure. You can usually get back some shadow detail, but you can rarely recover over exposed and burnt out areas. It can often be as you have seen above that only a small subtle correction is needed to make a critical difference. Many photographic adjustment programmes can make these small changes. There are though more sophisticated packages like Photoshop. They will also be able to make ‘selections’ of different areas within the picture. By adjusting these regions separately it is possible to to achieve better results rather than a ‘global’ (all over) lightening or darkening of the complete photograph. 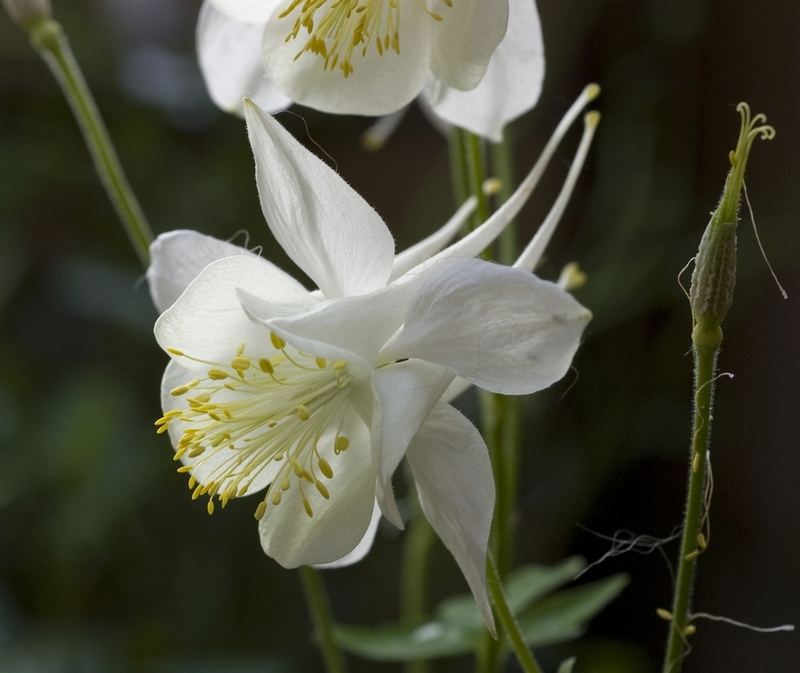 The next two pictures of larger flowers (picture 9) Papaver orientale ‘ Snow White’ and (picture 10) Aquilegia var. show very thin delicate petals and are demanding photographically because they are so translucent. Again the smallest amount of over exposure will kill all delicate detail. A flower with a thicker petal is this Hemerocallis ‘Helle Berlinerin’ (picture 11) which is an HPS conservation plant. Like many flowers they often point almost directly into the light, due to what is known as the positive phototropism of the cellular growth of the plant cells. This means that you are presented with an almost vertically lit subject, but the principle of avoiding over exposure is exactly the same. Take several bracketed pictures, and veer to the slight under exposure. So the rule is once again: expose for the highlights, and then post process for the shadows. These guidelines do not of course just apply to individual close ups of flower heads. 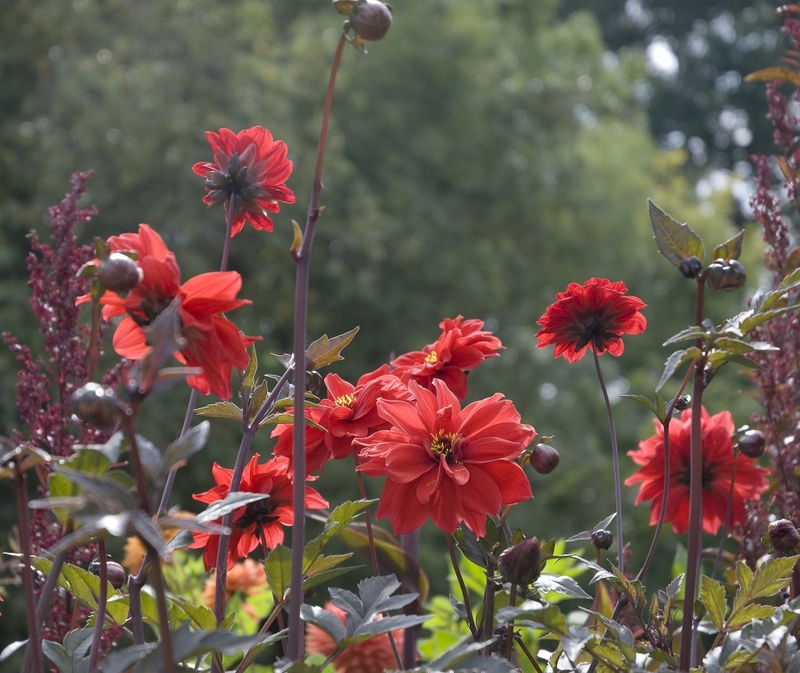 Groups of flowers such these dahlias (picture 12) ( Dahlia ‘Bishop Llandaff’ ) and the Tulips (Tulipa var. picture 13) also need very exact exposure control because the petal edges are so important in the composition. The secret is to aim to have the periphery of the petals correctly exposed. Any increase will lose that lovely illumination of the outline. Fortunately in these two examples with low morning light it was possible to find a position for the camera just into the shadow of the surrounding trees. 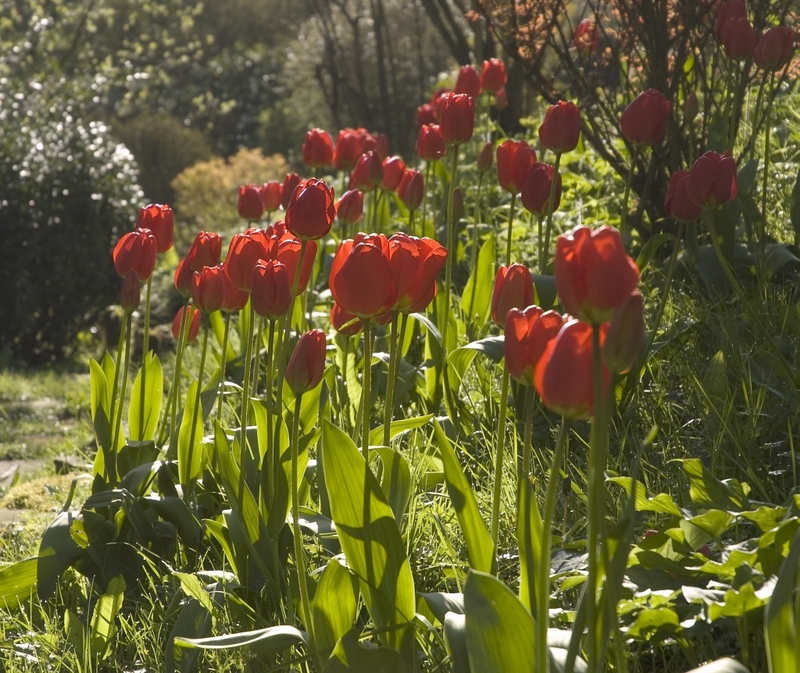 The tulips needed a very low camera position, as do many such short stemmed flowers. A hint here is that a plastic waste sack is a valuable extra to have in your camera bag, so that you can lie down on damp ground and not get wet! Another piece of ‘kit’ which is occasionally very valuable is a ‘reflector’, This is because when photographing into the light, the interior of a flower, or indeed other parts too can be in shadow, and too dark. 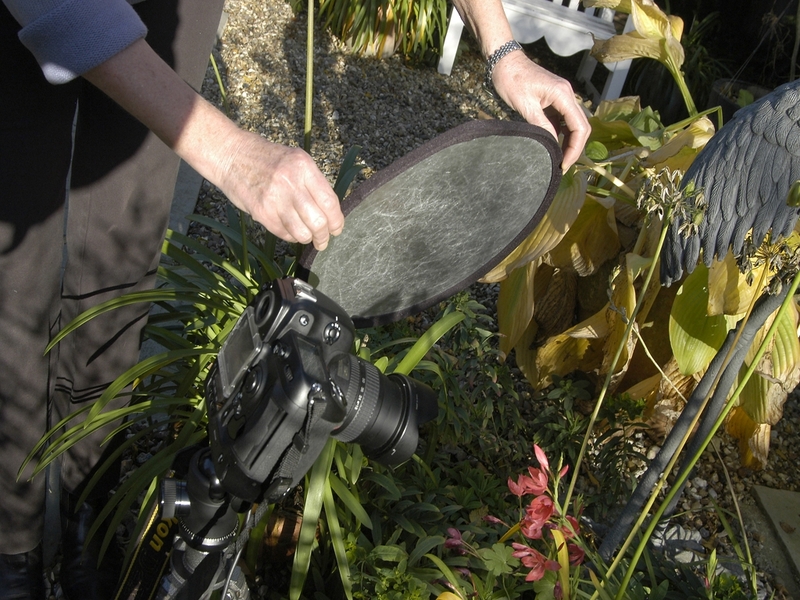 By using a reflector some of the light can be back reflected into this shadow area. This decreases the dynamic range of the intended picture, and gives a more even exposure. Beware that too much reflected light can make the image flat and uninteresting and may negate the whole concept of creating a backlit photograph! You can buy a small folding reflector quite cheaply, but a piece of kitchen aluminium foil, crushed and then spread out flat will be very satisfactory. Picture 14 shows a reflector in use. 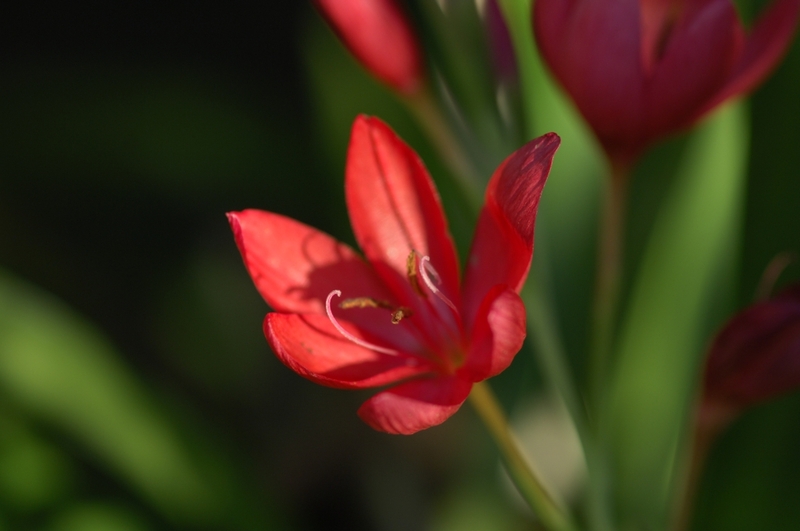 The following two photographs (15 and 16) show a Schizostylis coccinea var. flower, first without any reflection and then with some added light inside the flower from the reflector. Dark flowers against a lighter background pose a different problem of exposure. Here a camera with the ability to spot meter a very small area and to control and move it around is invaluable. This can be found in many modern SLR cameras. The selection spot can be ‘jiggled’ to an exact place on a chosen flower or leaf. For this the camera really has to be on a tripod and not moved thus leaving the composition static in the chosen frame. If your spot can’t be moved, but remains in the picture centre, then an alternative technique has to be used. Half press the release button to lock the exposure by first centering on the part you want to expose correctly, and then shift the camera position a fraction and recompose. Finally press the button and expose the photograph. Remember that different cameras can have various alternative settings for this and you may need to read the instruction book to find out what your camera does. Ideally a camera with buttons to lock focus and exposure independently will be best for these tricky techniques. 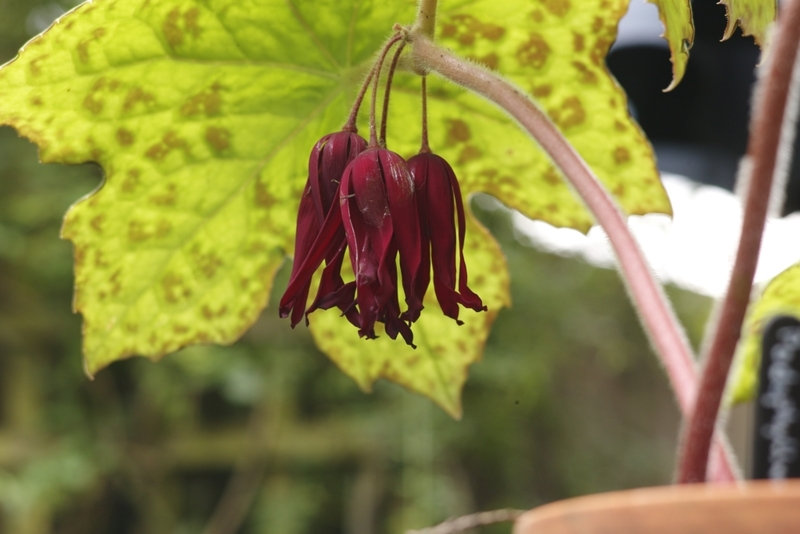 The picture (17) of a Podophyllum versipelle ‘Spotty dotty’ is an example of this technique. The ideal is to have the camera on a tripod, and to spot measure several parts of the projected photograph area, concentrating of course on the main flower itself. Several pictures are taken, and the best one selected. 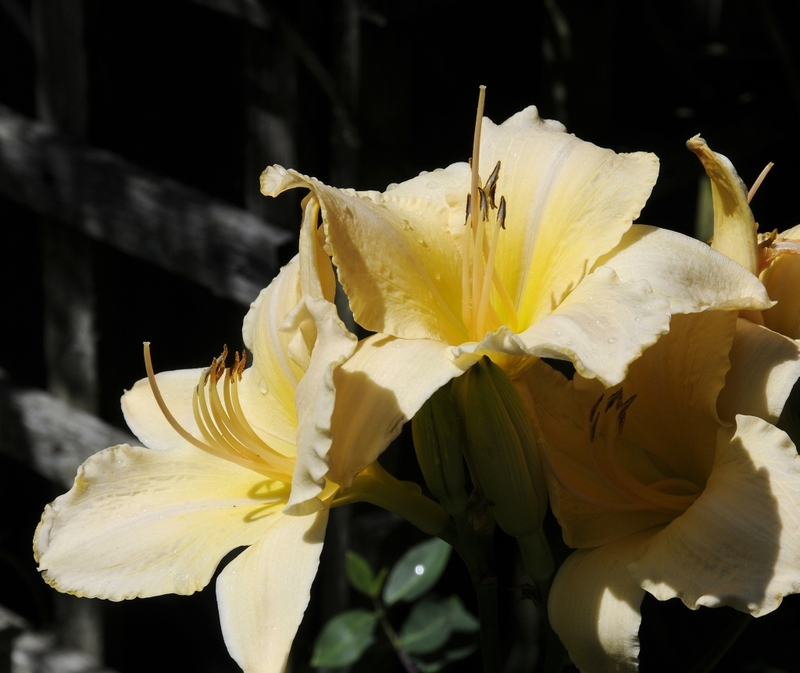 In this example there is a large dynamic range between the light and dark parts of the flower. It is a matter of quite careful judgement to find a compromise in which the darker parts of the flower show some detail, but the light parts just reflecting off the top of the flower are not over exposed. Also importance has to be given to the wonderful leaf behind. If this were to be in sharp focus then it would dominate the picture. This means that you have to use a large aperture (small f number) to keep the flower only in focus and to throw the leaf into slight blurring. This keeps full attention on the flower, not the background. There is quite a lot to think about in what at first seems a simple picture to take. Another aspect of image control is selective focusing which is enlarged upon further in a later part of this article. 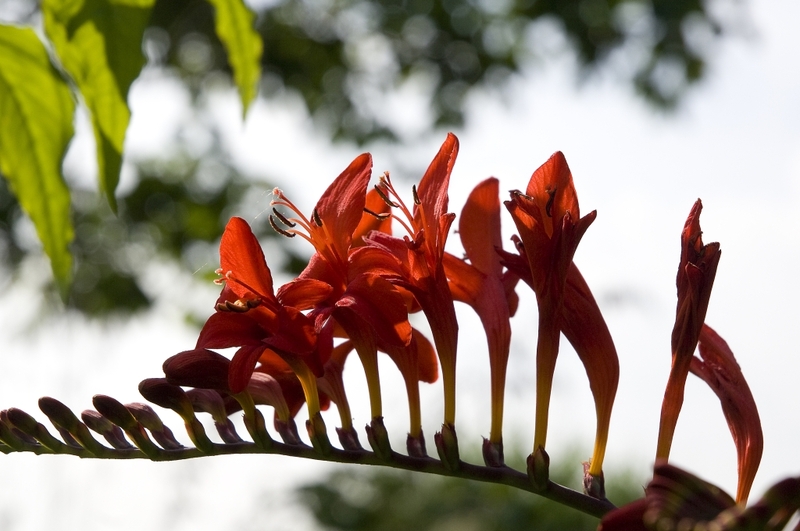 The red flower spray of Crocosmia ‘Lucifer’ (picture no. 18) was also challenging to photograph against the very much brighter sky. Again this spot metering when on a tripod or if handheld then a number of bracketed exposures are the answer. You can easily think of other non backlit situations that demand such extra care, for instance dark red roses against a white cottage wall immediately come to mind. Occasionally a creative effect is wanted where under exposure against a brighter sky background is called for. This is usually where the actual anatomical structure of the plant is the chief point of the whole composition and photograph. 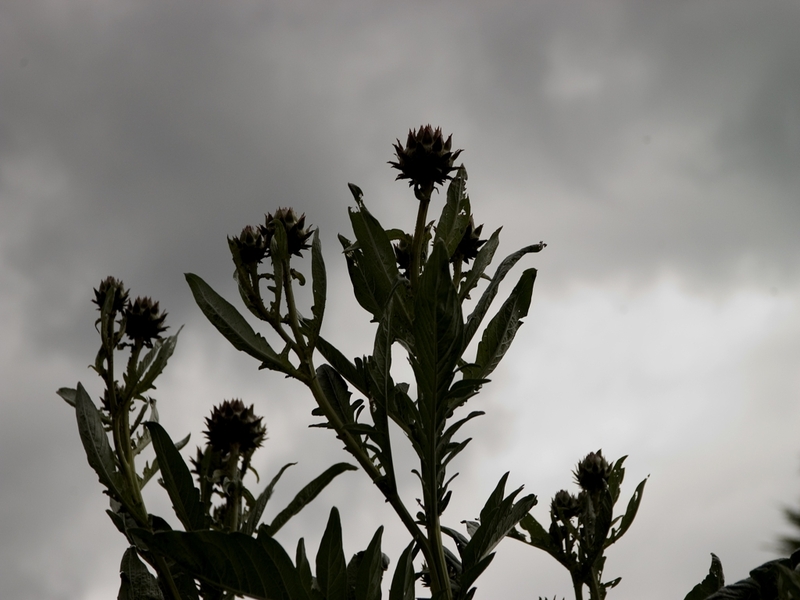 An example is this is the Cardoon (Cynara cardunculus picture no.19). It was exposed at several values but this one which is under exposed is far more menacing and appropriate than a picture which shows the green leaves and flowerheads in their natural colour. The so called hedgehog holly (Ilex aquifolium ‘Ferox Argentea’ ) is another good example of this genre. Picture no. 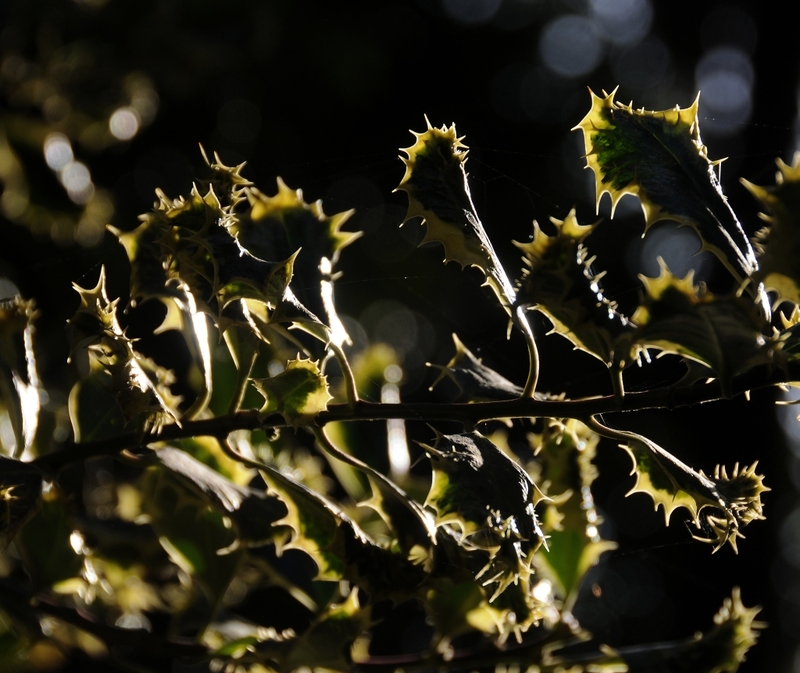 20 shows the holly leaves with their edges coloured yellow and this feature, together with a backlit photographic angle makes another picture which is quite aggressive. 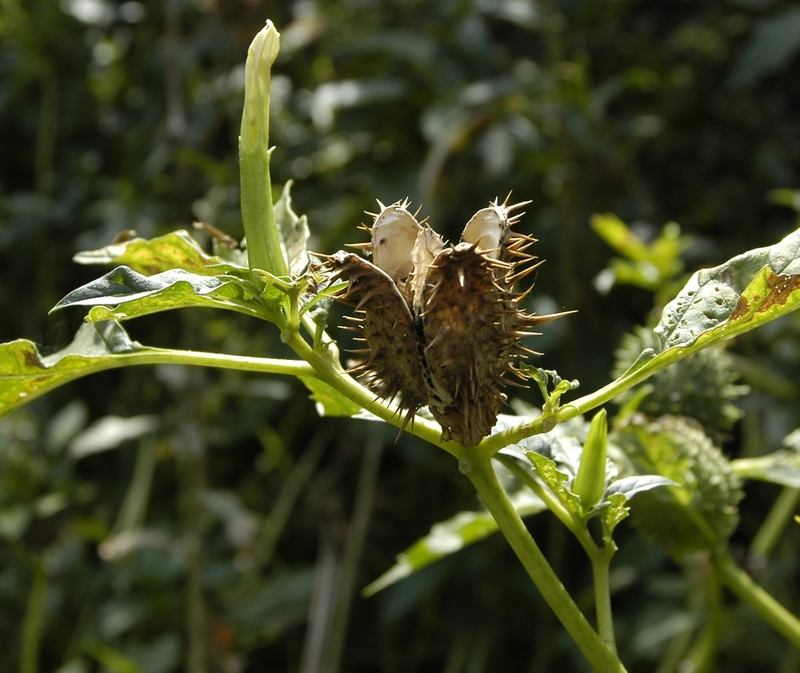 Seed heads with pronounced hairs or prickles can make another slightly threatening subject. This Datura (Datura stramonium – picture 21) is an example and perhaps parallels it’s poisonous nature. 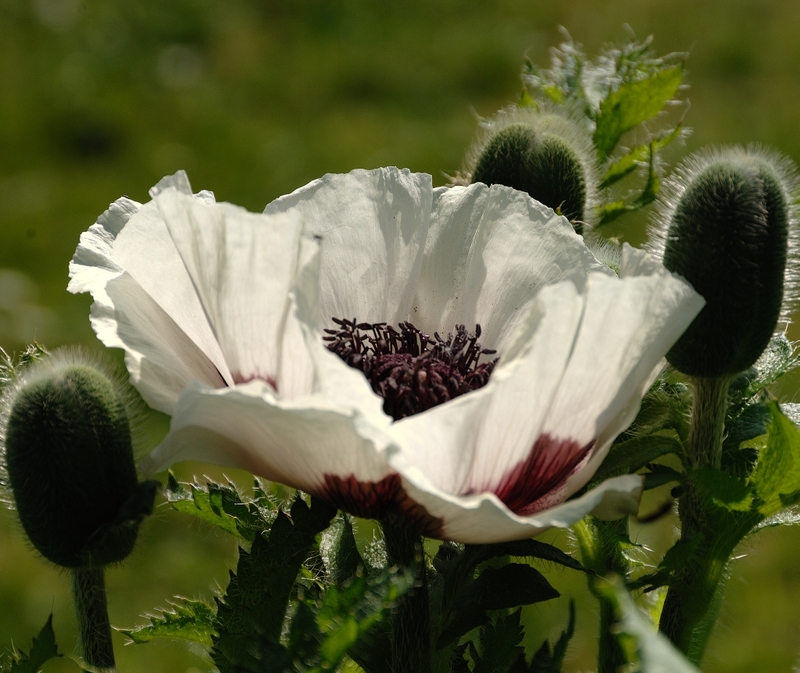 The flowerbud of this poppy (Papaver orientale ‘Pinnacle’ – picture 22) taken with the low morning sunlight could be an insipid picture with lighting at any other angle. These last two pictures are quite close up and focusing could be difficult with a handheld camera. A tripod or similar support is needed not only to keep the camera still, but to accurately focus on the hairs and prickles themselves, and not to rely on built in automatic focusing which can easily produce an average focus depth. This can be fine in many situations but may well fail to produce the crisp accurate image of the periphery that is really needed. Depth of field has already been mentioned and should not be forgotten in the concentration needed to get the exposure right. This (DOF) of course depends on the magnification used and the aperture. 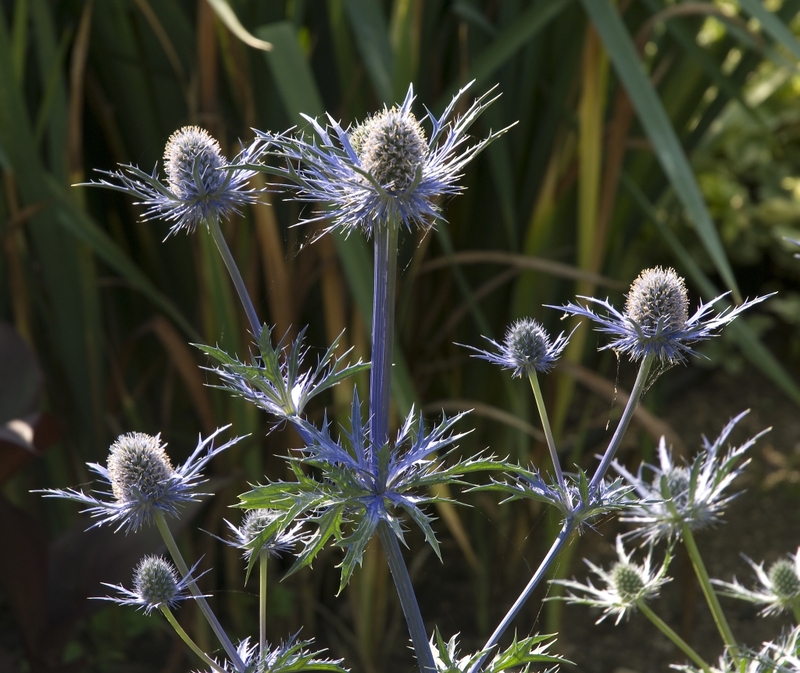 Picture 23 of the group of Eryngium bourgati ‘Picos blue’ was taken at a distance. At f8 a good depth of field showed up the whole plant in sharp focus and the background foliage only just going out of focus. The same aperture was used for a close up of a single flowerhead (picture 24). This illustrates a more limited depth of field due to greater magnification with the front part of the subject in sharp focus. The back part only a couple of cm. behind has a pleasant slight blurring. This in fact can be very desirable, and the gradient from sharp focus to unsharp focus varies with different lenses. There is a Japanese name for this which is called bokeh. Some photographers choose lenses very largely on the basis of this feature. This is one of the reasons why prime lenses without any zoom multiple glass elements are still sought after for perfect sharp to blurred effects. Don’t forget that a small aperture (larger f number) will produce a deep depth of field in sharp focus which in creative terms may be just what you don’t really want. Blurring of backgrounds can of course be created in a computer, but it is always best to start off with the most appropriate and desired picture in the camera. Remember that a large aperture (small f number) will focus a smaller sharp area in the centre of the frame, leaving a larger area of often blurred background around it. A small aperture means a greater overall central area of sharper focus and much less peripheral blurred area. It is this purposeful alteration of the picture which is often a major part of photographic creativity. A skilled photographer will have this completely built in to his or her mind before any picture is taken. Such previsualization only comes with constant practice. Against the light images often need a lens shade to stop stray light and to narrow the acceptance angle exactly to the specific scene you are imaging. Even so, because lenses are composed of multiple elements, internal lens reflections can show up as an odd pattern across part of the picture if the camera is ponted too close to the incident light axis. 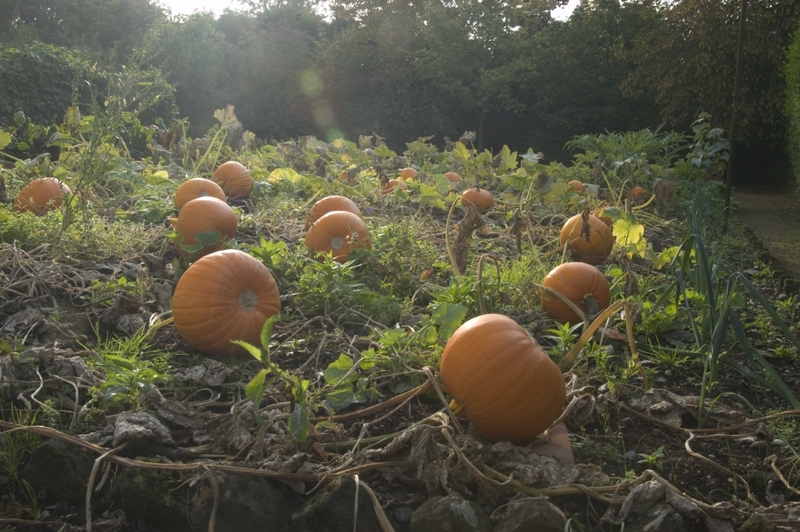 This is seen in Picture 25 of pumpkins (Curcubita pepo ‘Spellbound’). As you see the lens flare looks rather like a ‘string of beads’. This applies especially to modern zoom lenses which can have very many elements. The answer is in the first instance to move the camera/lens axis perhaps down away from the direct light, and this may improve the picture. In many cases there will also often be a slightly blurred or misty appearance to the image as in the modified image (Picture 26). This is called lens ‘flare’ and was far more common in early cameras that did not have the elaborate lens coatings which cover the lens elements of our modern cameras. The only sure way round this problem is to really move the camera to a different axis altogether. Some technical notes- expanding some of the themes above. There are some technical difficulties in against the light photography and this applies to several areas. It is worthwhile enlarging more on some of the methods we have been using for the pictures we have been taking, because this is the key to success in this quite exacting area of photography. If a standard point and shoot automatic exposure is set up to be the usual default in the camera controls then you may well be doomed to failure. The main problem is that the exposure is very often set by the camera exposure sensor mechanism. This means that when the camera is pointed more or less into the sunlight, then a lot of bright light is a shining into the camera mechanism. The camera then ‘thinks’ there is too much light around so that it closes down or reduces the exposure (aperture or shutter speed or both) so that the sensor is not overwhelmed with a picture that is too bright. Now suddenly we have an image in which much of it is correctly exposed, but the critical part we are interested in may well be too dark and under exposed, resulting in lost important information in that area. I like to use the analogy that the camera perhaps ‘thinks’ because if we leave the camera settings to automatic then the camera does in a way ‘think’ and it takes control out of our hands. Although this can be fine in many situations it should not apply when we are taking some rather different and creative pictures against the light. For this we need our own control of exposure and also a check on the result by looking at the read out histogram which is discussed in greater detail below. First of all we have to be not afraid to take several pictures of our chosen subject. I don’t just mean waving the camera about and firing off a number of exposures in the vain hope that one may turn out to be correct, but to carefully think of a number of viewpoints that are possible candidates. After composing the picture from several places then this is the time to repeat these with different settings of the camera controls, and this is what we are going to discuss further. Many modern cameras have a small control button to change the exposure which has been determined by the metering system. This can change the exposure timing and/or the aperture. 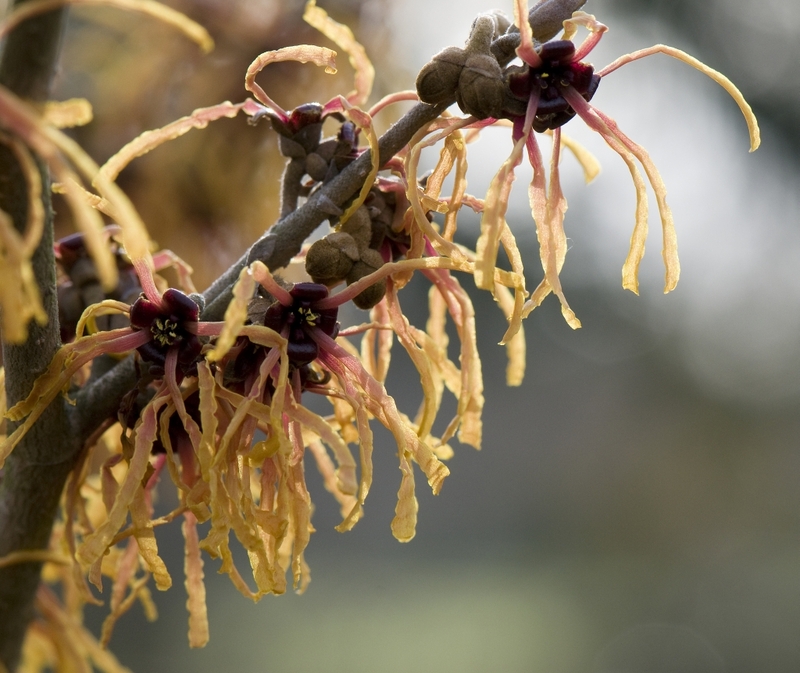 The change of timing can be critical if the camera is hand held, or if the plant is waving in a breeze. In this case compensation should be made by upping the ISO sensor sensitivity. In cameras with large sensor areas this does not affect the image if applied in limited amounts. Small cameras with appropriately small sensors are affected more, and image degradation can result. Changing the aperture of course alters the depth of field, and can also alter the timing of the exposure. This may not matter too much for distance pictures, but can be more critical in close up ranges. Remember the Eryngeum pictures illustrated above. Not all cameras have a spot metering mode, but if your camera has one then this is the very time to use it. This is the easiest option to obtain a properly exposed picture in these ‘against the light’ situations. 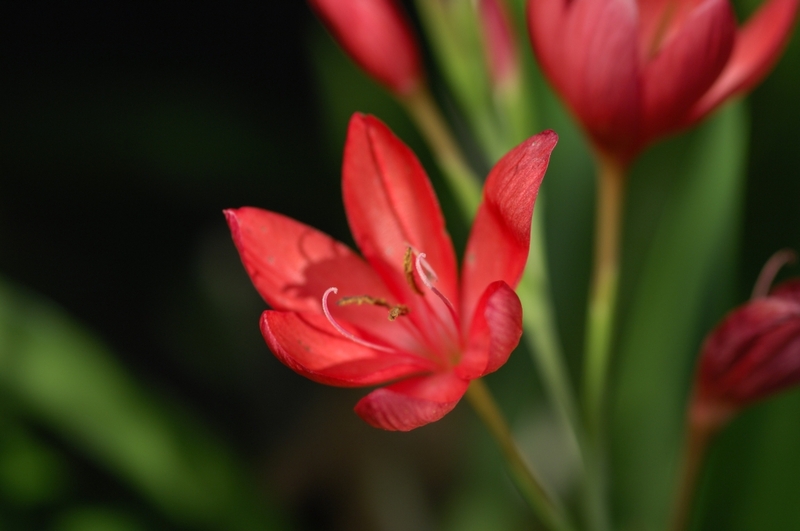 Set up the camera controls and then spot meter directly onto the flower or area you are photographing. This will ensure that the flower itself is properly exposed. The area outside the flower may of course be under or over exposed but for a start the part we are interested in will be properly exposed. In some instances there may have to be a compromise. The over exposed area may end up with just too little texture, and so some reduction of exposure may have to be made. Again take several exposures to have some selection available later. And keep in mind the mantra : ‘expose for the highlights – post exposure adjustment to bring out the shadows’. You may well have to read your camera instruction book to check if spot metering is available on your camera. Some more elaborate SLR cameras have the ability to move the spot around the frame. This was mentioned in the Podophyllum picture above, and is used to obtain a very exact measurement of a special area. Of course remember to turn it off afterwards for your next photographic subject if you do not need it! This is a simple method of ‘locking ‘ your exposure to achieve a controlled image exposure. Some more advanced cameras have the ability to lock focus and exposure independently. 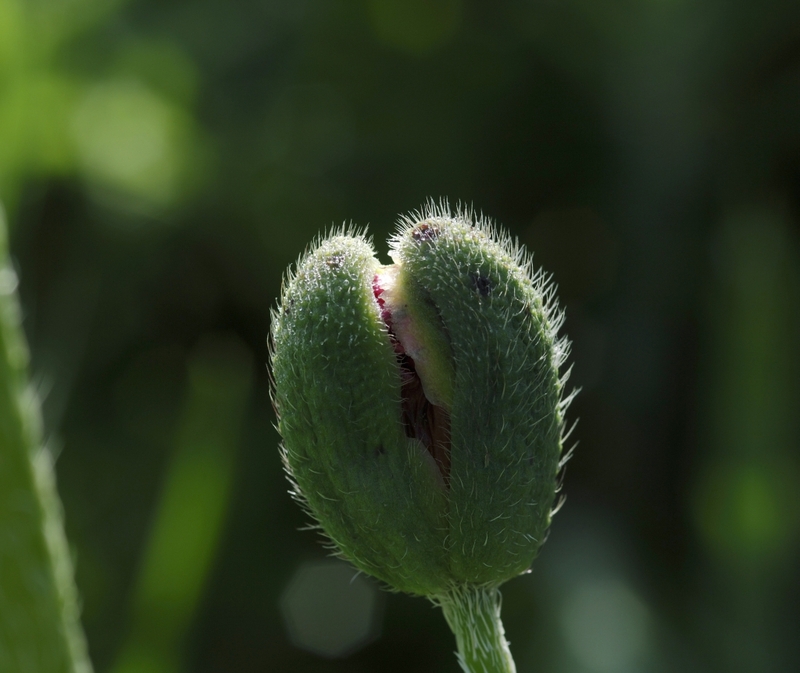 Otherwise put the focus into manual mode and carefully focus onto your flower. However most cameras do have the ability to lock both focus and exposure by half pressing down the shutter release button. So – frame up your selected picture, and focus manually. Now swing the camera a little sideways into a different area, possibly outside your first frame which has a similar image density (darkness or brightness) to the key area you are photographing. Half press the release button down so that the exposure is locked onto this second area and then swing back to reframe onto your subject again. Both your exposure and focus should then be correct. However, unless your camera is on a tripod you can quite easily not swing back into exactly the same focus again. The answer is to take several pictures, and also to make sure your ISO setting is high enough for your aperture to be say f8 or smaller so that the depth of field recorded is deep enough to compensate for your realignment to maintain your subject in adequate sharp focus. This is quite a lot to think about. The nub of it is that most modern cameras can be set to show in the monitor a special type of graph or ‘histogram curve’ whenever we take a picture. This curve will display at once if the picture is under or over exposed, and also give an idea by how much. This then gives us an idea of how much to adjust the exposure to avoid over exposure of our prime subject, and indeed how much under exposed the rest of the picture may be. Part of the answer is of course to read your manual to see what is available in your particular camera model. 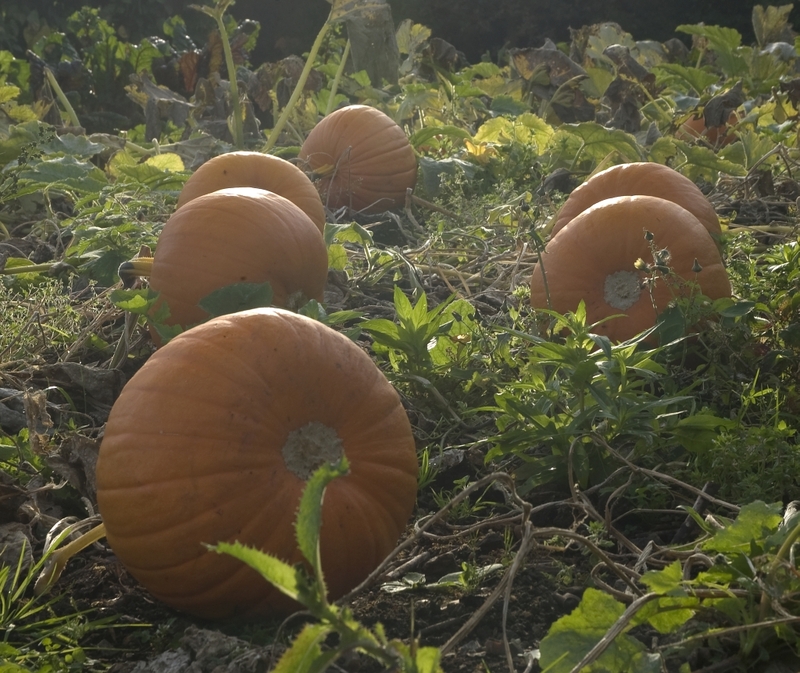 Professional garden photographers are constantly referring to the histogram and take further subsequent images to obtain the curves they need. An alternative to the histogram curve may be to use the option display of ‘flashing highlights’. However they only display over exposed saturation areas and do not give a quantitative idea of over or under exposure. The monitor image otherwise should be used also to double check that you have not inadvertently missed out a peripheral part of the picture you have envisaged. This immediately leads on to another rule! Always take your picture with an adequate surround of periphery which you may or perhaps may not use. You can always crop a picture to its ideal theme, but you can’t at all easily add peripheries of flowers or leaves or garden content that you don’t have in that master image. This could demand a really advanced cloning replacement in Photoshop and of course one could be starting to enter an area of possible image falsification, and the moral unsavoury overtones of such procedures. It is worth while noting here that in film camera techniques one was urged to ‘fill the frame’. This was because cropping and choosing the main selected area of both black and white pictures and even more so colour images was difficult. In digital imaging it is relatively easy to crop to an ideal selection of the picture to enhance the impact of the image. A new area of digital photography has developed recently called HDR or High Dynamic Range photography. In this technique multiple pictures are taken usually at different exposures, but the camera is locked on a tripod to avoid any movement whatsoever. Pictures from this sequence are then selected which each have an area of the desired image in a correct exposure. These are then combined by special software, so that the optimum image part is extracted from each picture. This makes a final combination image which has separately controlled parts to make up an optimum picture. This result can never be obtained from a single exposure, and illustrates the advances that have been made with modern digital photography. I suspect though that this is not the end of the story – more exciting features of imaging will surely soon emerge ! Posted on March 2, 2013, in Members Writing, News 2013 and tagged camera axis, flower photography, natural sunlight, nature, petals and leaves, plants. Bookmark the permalink. 1 Comment. Great post! Loved the photos, great information.